I got rather over excited on a recent visit to my local wet market upon seeing a huge pile of delicious corn on the cob just waiting to be snapped up. 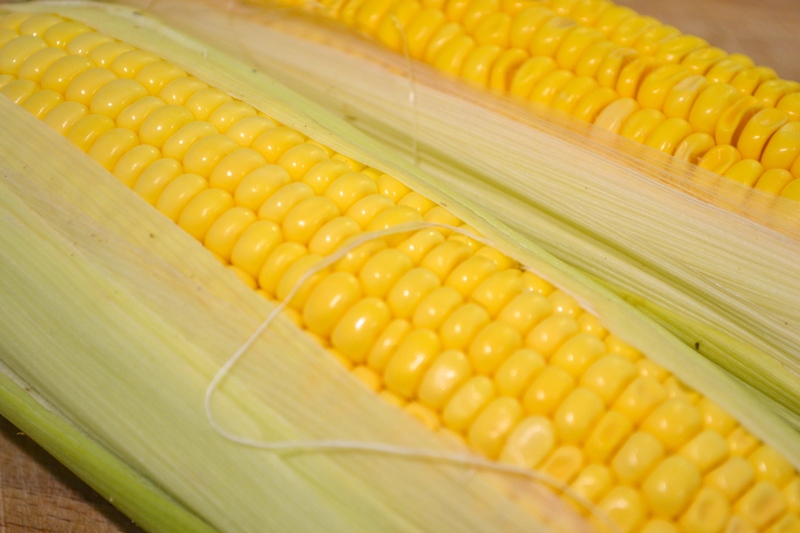 They always look so appealing with their bright yellow nuggets of corn nestled inside their green leaves. Unfortunately the Perky Kebab is not a fan and was not impressed with my purchase. I thought I might be able to convert him with some fresh corn but alas it’s not just the canned version he is averse to. So after the initial excitement about the purchase, my poor corn on the cob (there were 2…should that be corns on the cob or corn on the cobs??!) languished at the bottom of the fridge for a couple of weeks until the Perky Kebab went on a business trip. 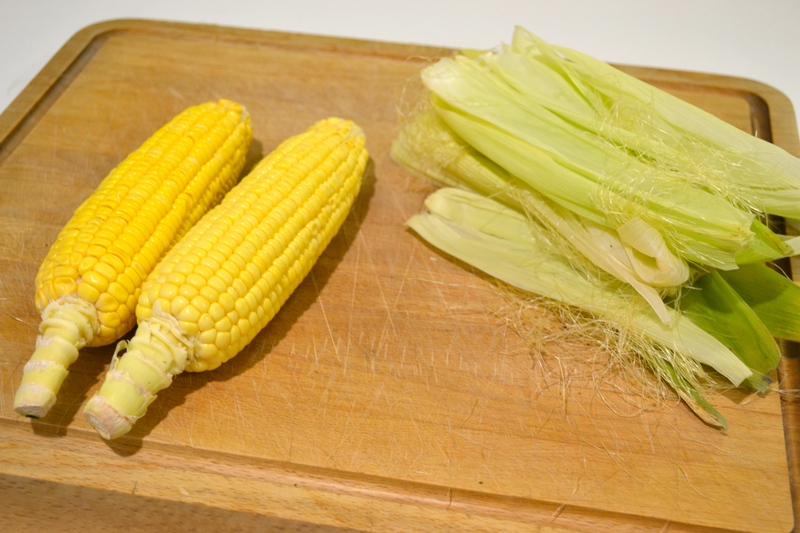 The perfect excuse for some sweetcorn for supper! Yes, life is pretty rock and roll for me these days. 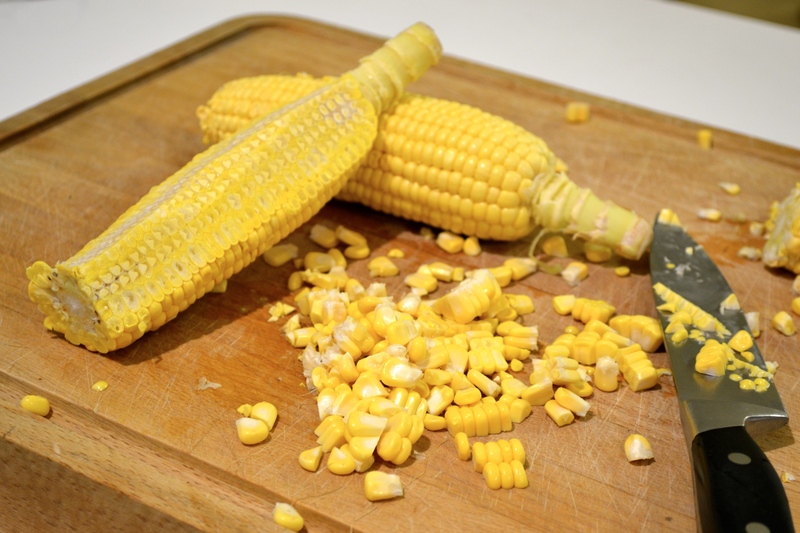 Whilst I love plain corn on the cob, steamed, lathered in butter and salt and munched, I just hate all the bits that get stuck between your teeth. Not to sound too much like a granny with dentures, but it’s just so irritating! So instead I decided to branch out and make some southern style creamed corn (apologies to any Southern Americans reading this as I’m sure this is less than authentic!). Since I only came up with this plan on arriving at home, a key ingredient was missing from my arsenal…cream. 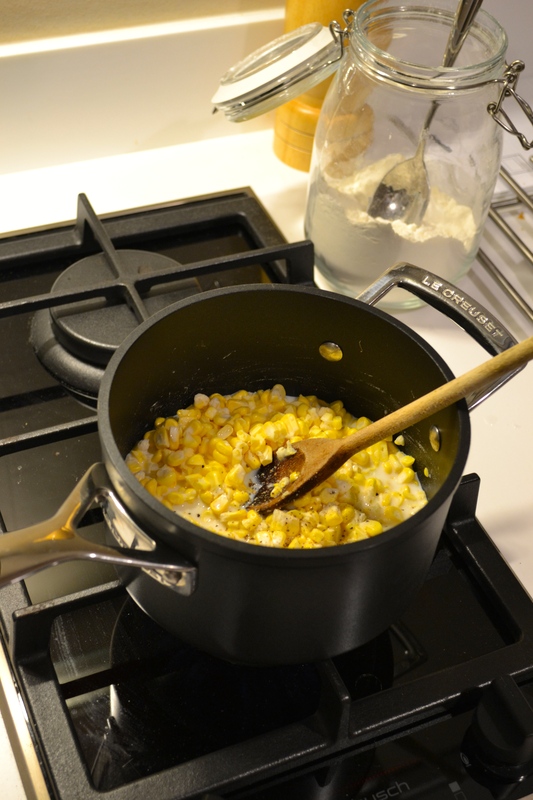 And I was also down on bacon fat/grease, which seems quite a popular starting point for creamed corn. 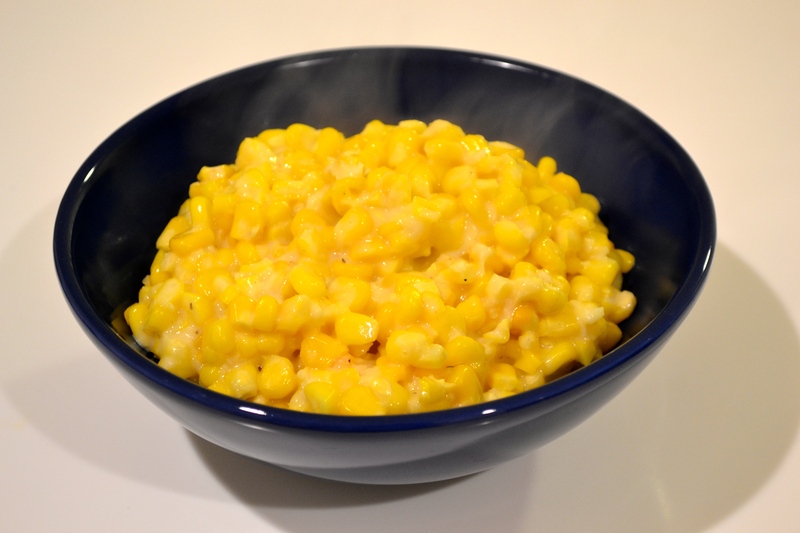 So instead I’ve turned this into a healthier version using just milk and a little butter and despite the lack of cream and bacon grease, it stilled turned out to be a deliciously creamy pot of corn. It takes a bit of stirring, but aside from this it’s a very easy mid-week meal…if you can count creamed corn on toast as a meal that is! Otherwise it would be a great side for a BBQ too. 1. Cut the corn off the cob, getting as close to the cob as you can. Use the back of your knife to scrape down the sides of the cob to ensure you’ve got everything off and also release any juices. 2. Melt the butter in a saucepan over a medium heat. Add all of the ingredients, seasoning with salt and pepper and mix well. Turn the heat down to medium-low and cook for about 30 minutes, stirring frequently. 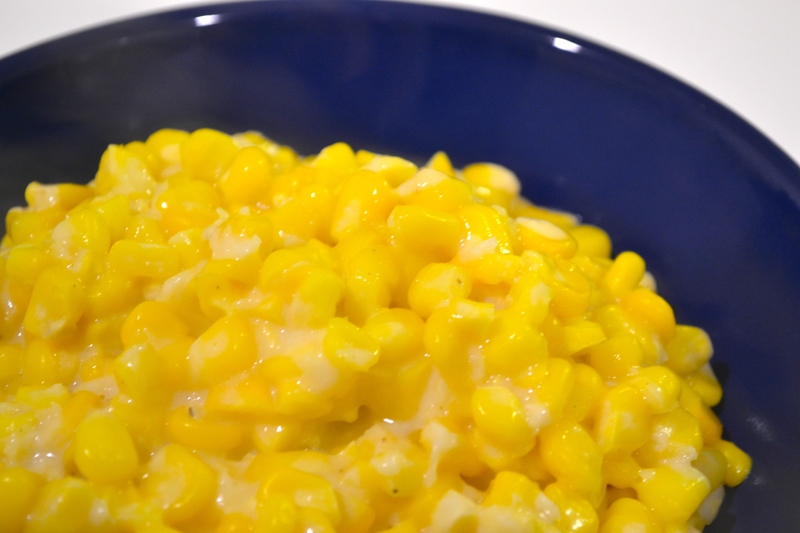 The mixture should become creamy and thick and the corn should still have a nice crunch. If it gets too dry, add a little more milk.